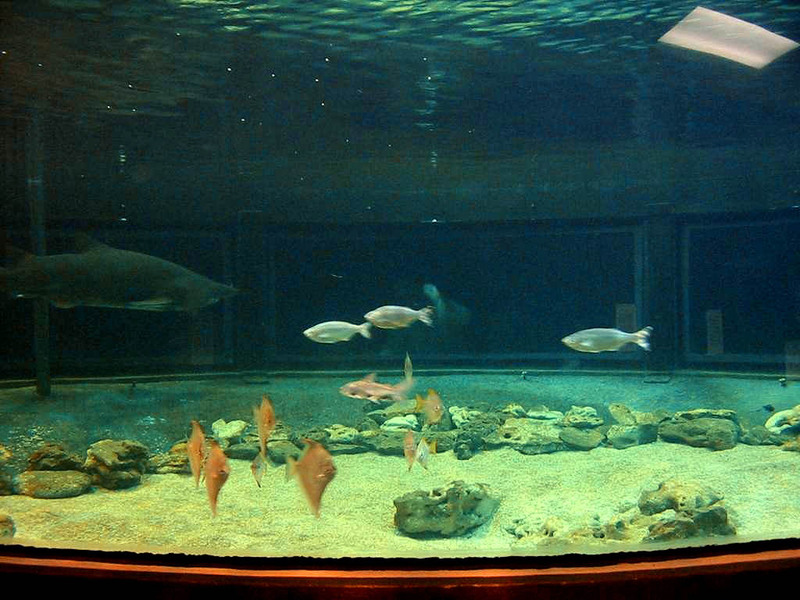 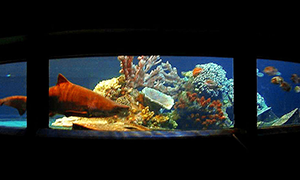 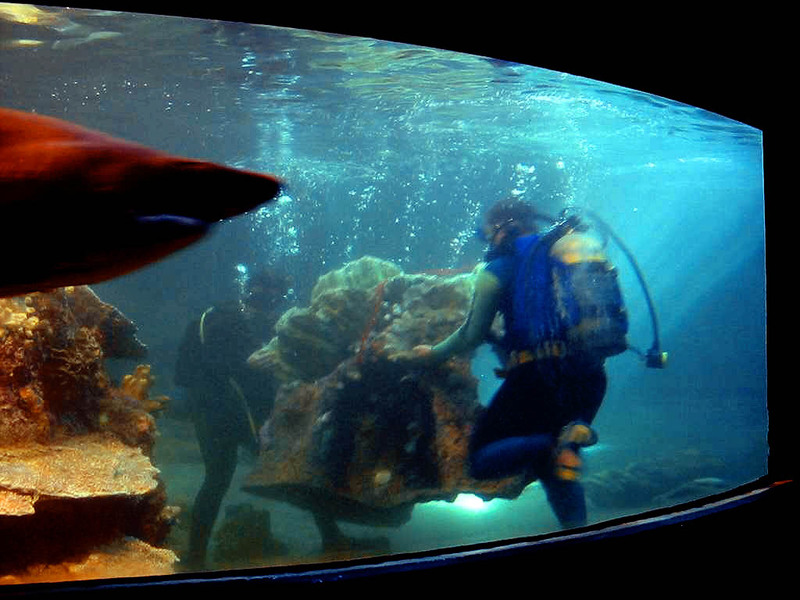 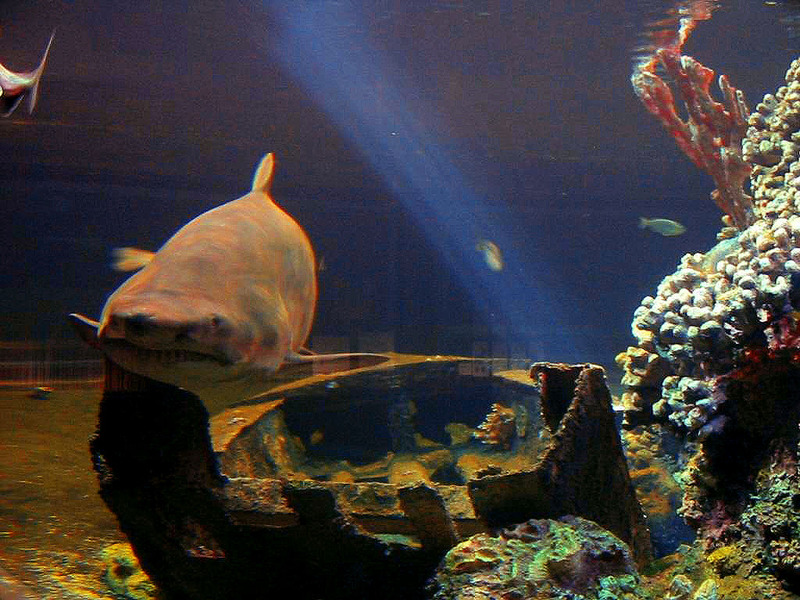 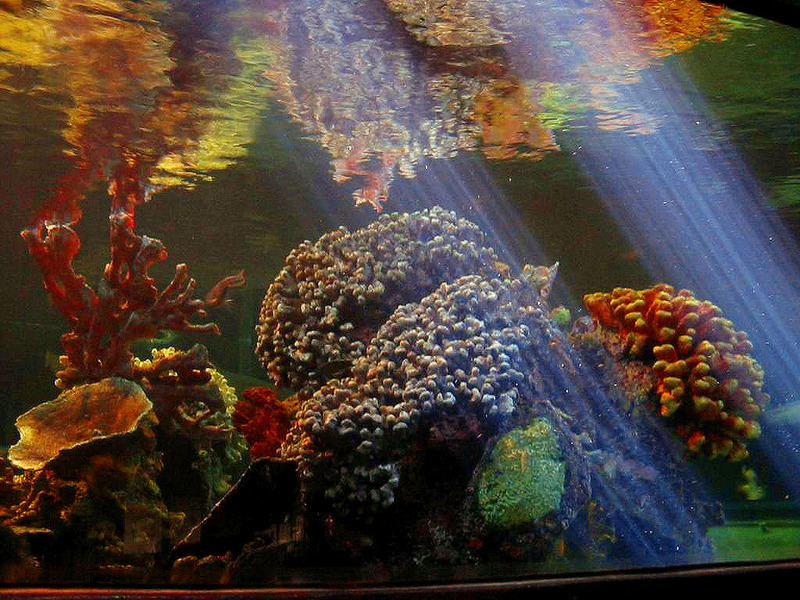 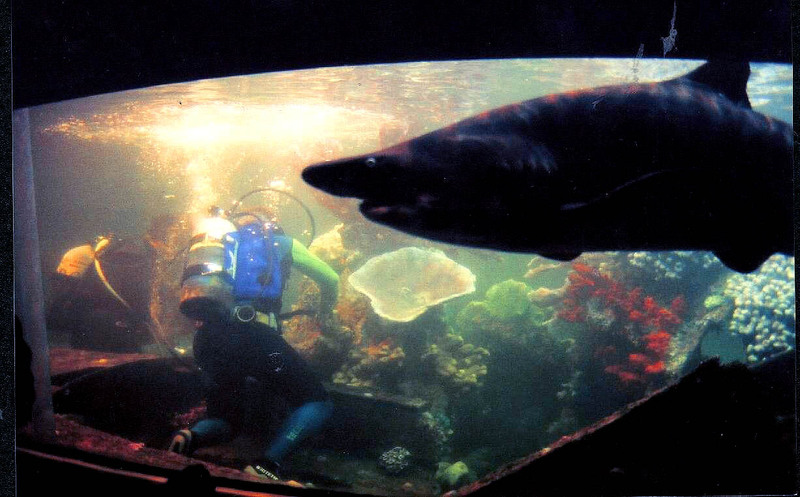 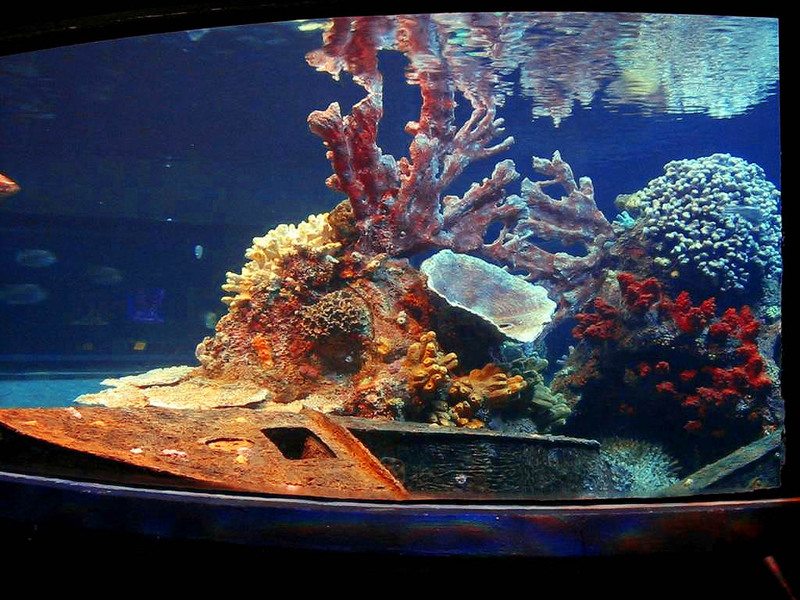 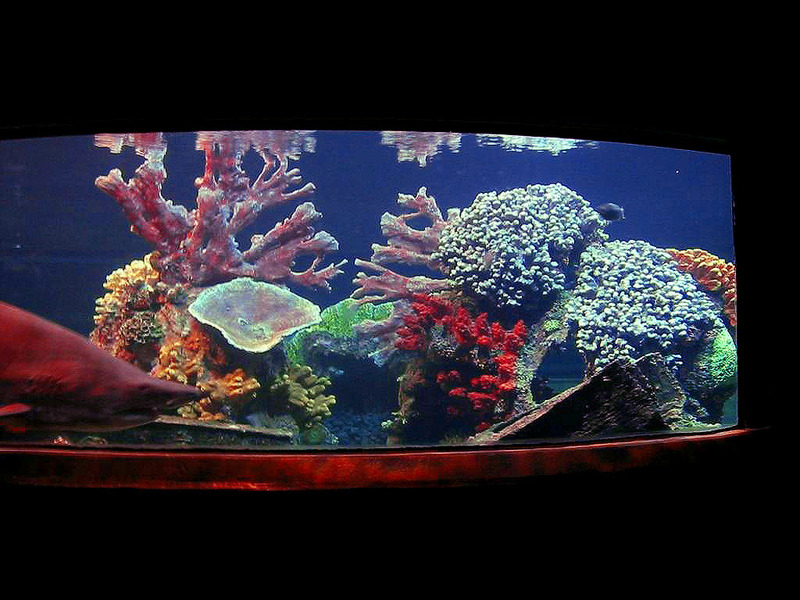 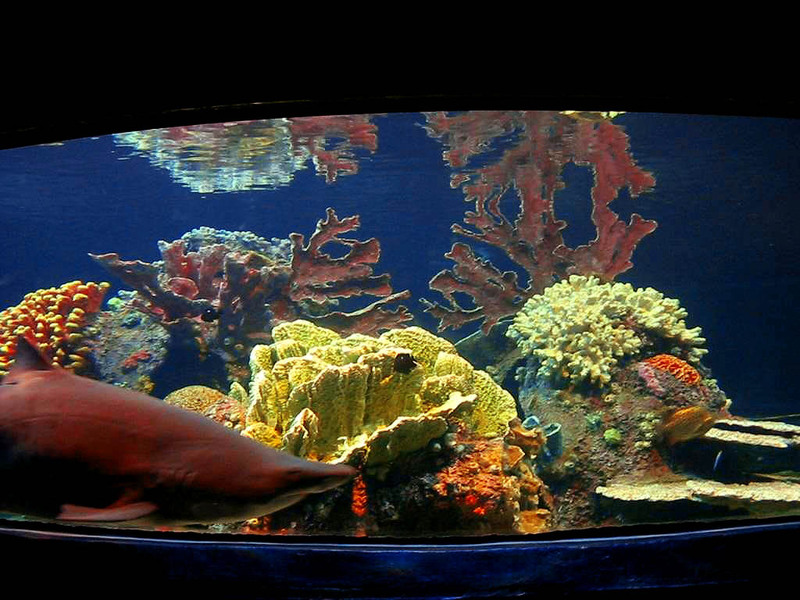 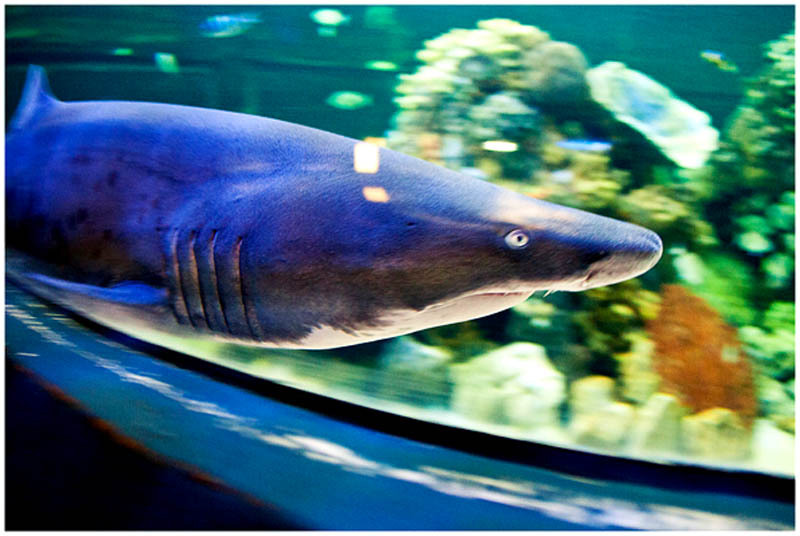 In March 2007 the National Zoological Gardens contacted us to re-furbish their existing shark tank. 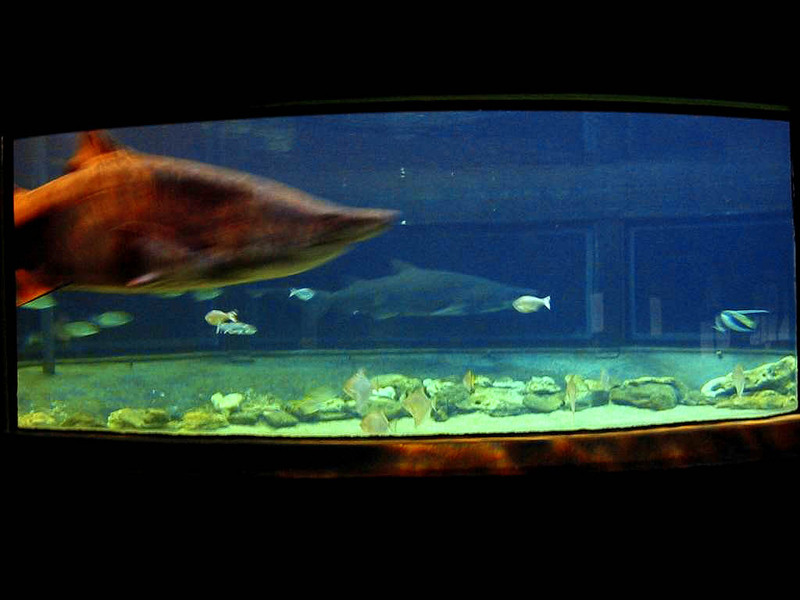 The tank contained two large Nurse sharks which could not be moved and therefore the water inside the tank could not be drained. 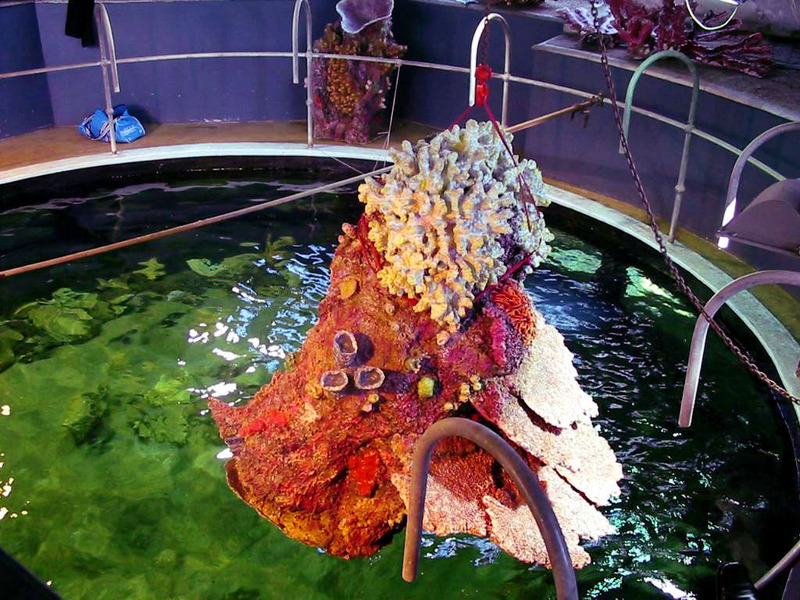 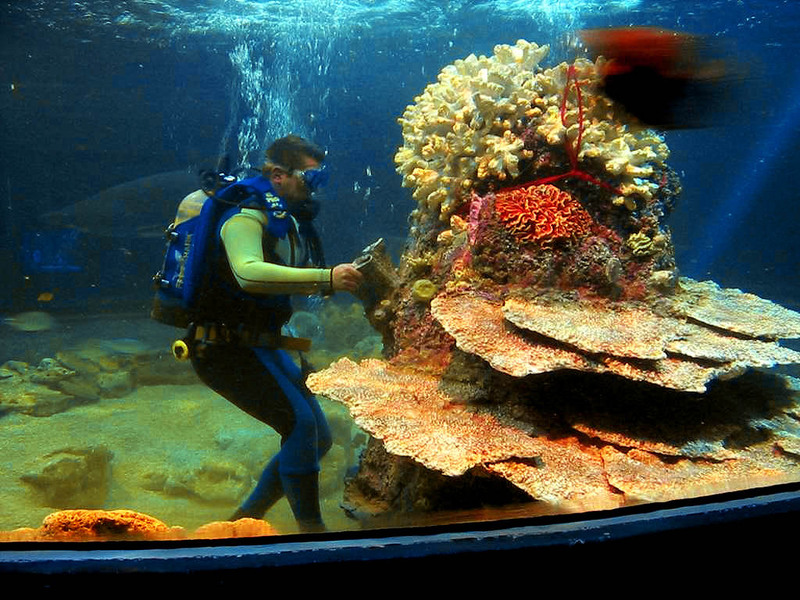 We designed and built a central coral reef cluster that could be easily and quickly installed underwater. 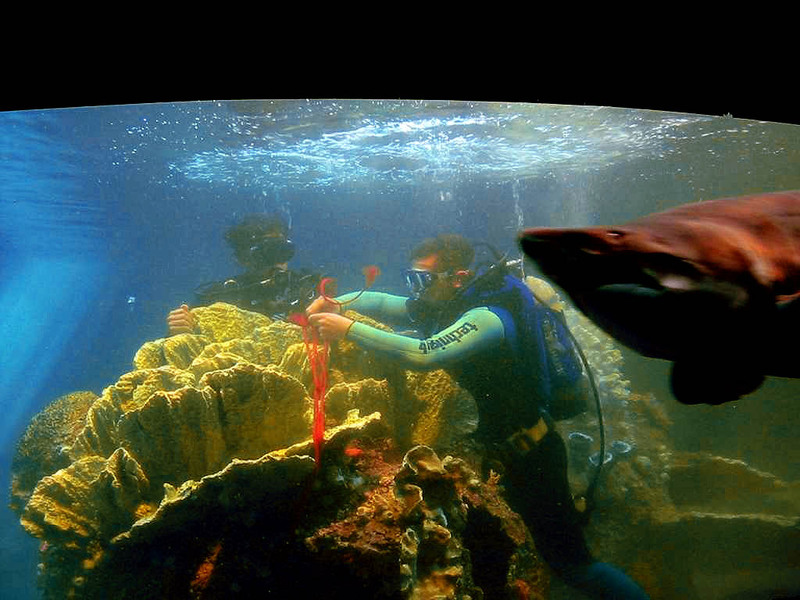 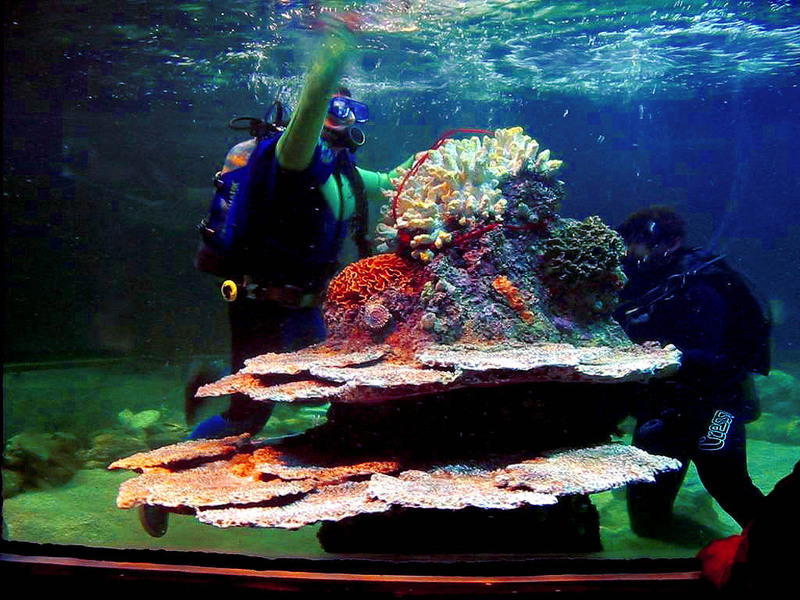 The cluster was built in sections that could be re-assembled by divers, and was made from extra-strong FRP to make it shark and turtle resistant. 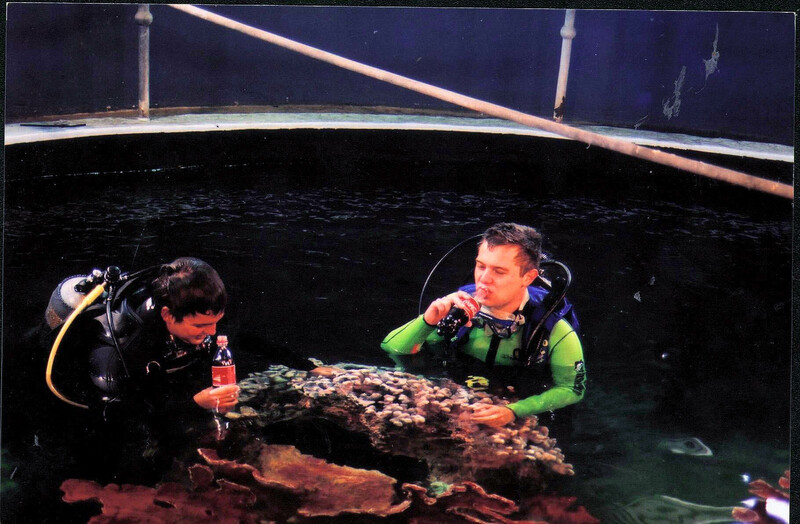 In addition, the cluster was made with an overlapping joint system which, when assembled, results in a completely invisible and seamless joint. 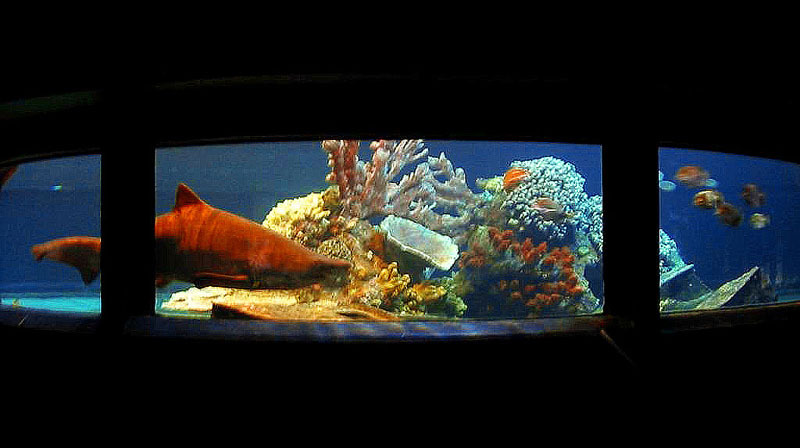 The installation process began early in the morning as sections of the exhibit were positioned around the top area of the tank. 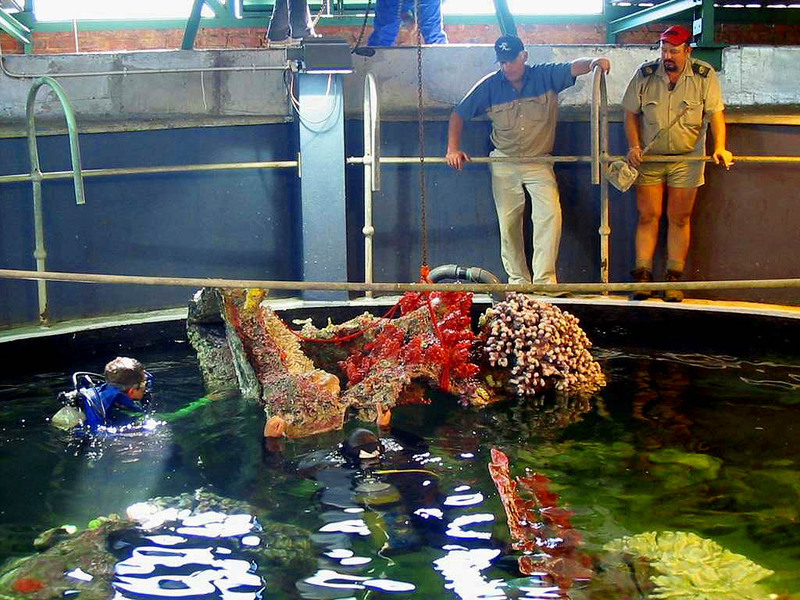 Each section was lifted and lowered into the water using a basic pulley located above the tank. 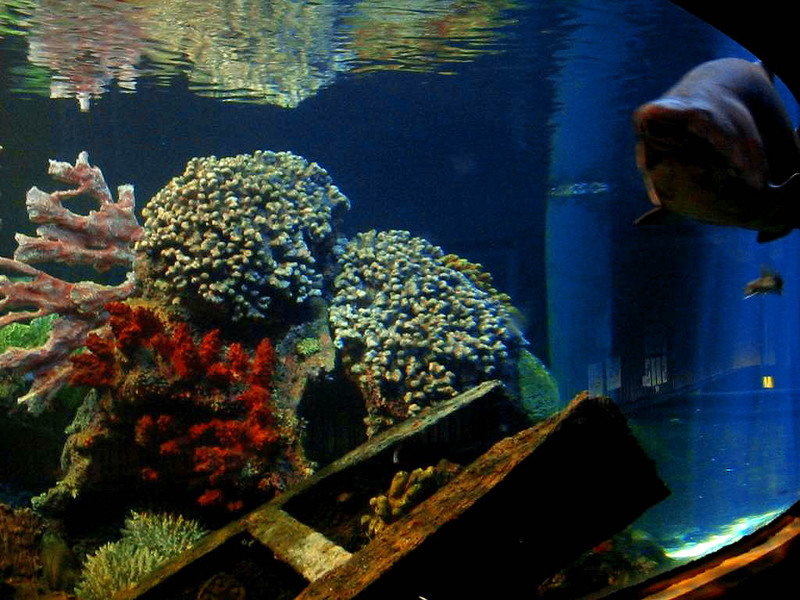 Our exhibits are very light and easy to maneuver and when submersed in water they have virtually negligible weight. 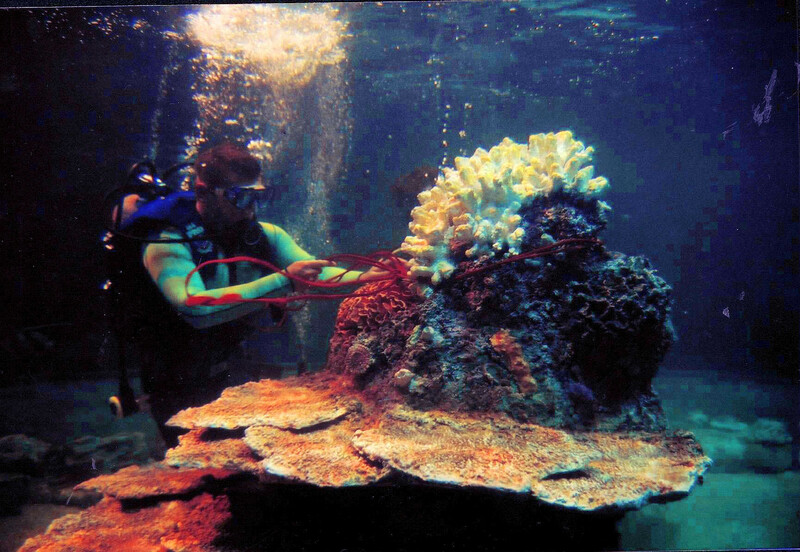 This allowed the divers to easily position and re-assemble the sections underwater. 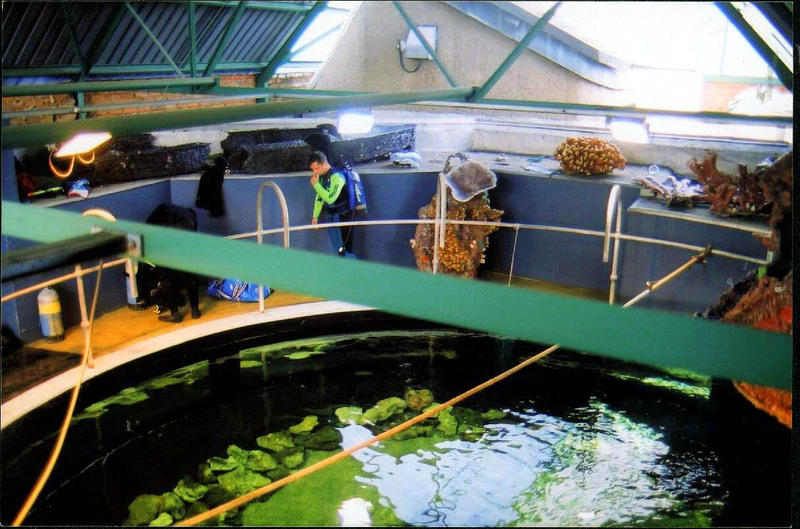 By late afternoon of the very same day the entire installation was finished, having avoided prolonged stress and agitation to the animals inside the tank.